Structured as a 'conversation' between two wildly opposing men, this concise read brings you into a discussion of ideas with C.S. Lewis and Richard Dawkins. Want to experience a conversation of big ideas? 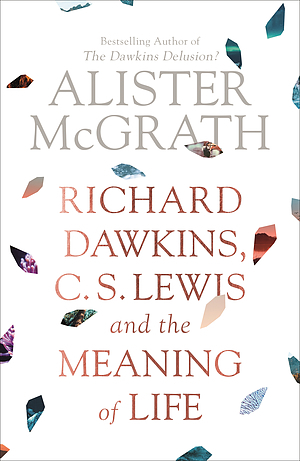 In this pithy, entertaining guide to what really matters, Alister McGrath brings together Richard Dawkins and C.S. Lewis, two intriguing and well-known writers, in 'conversation'. The two men could hardly have more different perspectives; these arguments provide an excellent means of sharpening our own thinking on the meaning of life. Richard Dawkins, C. S. Lewis and the Meaning of Life by Alister McGrath was published by SPCK in May 2019 and is our 64097th best seller. The ISBN for Richard Dawkins, C. S. Lewis and the Meaning of Life is 9780281080199. Be the first to review Richard Dawkins, C. S. Lewis and the Meaning of Life! Got a question? No problem! Just click here to ask us about Richard Dawkins, C. S. Lewis and the Meaning of Life.